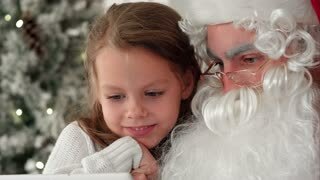 Santa presents computer tablet with blank space. 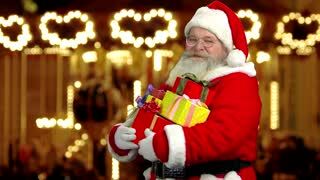 Santa Claus showing pc tablet and ok gesture. Christmas presents selling concept. 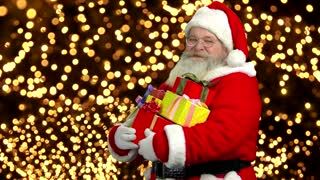 Santa Claus holding presents. Happy Santa showing thumb up. Santa with presents. Santa Claus, thumb up gesture. 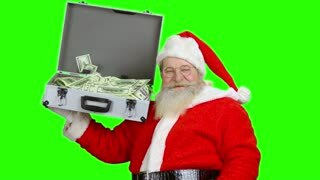 Santa holding money suitcase, chromakey. Santa Claus showing ok gesture. 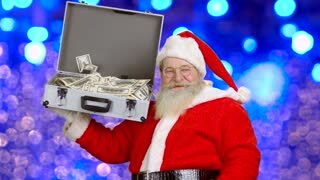 Santa Claus, suitcase with money. Santa showing ok gesture. Happy Santa Claus presents pc tablet. New Year gift ideas. Great Christmas offer. Happy Santa Claus showing digital tablet. Authentic Santa with ok gesture on blur Christmas tree background. Online shopping concept. 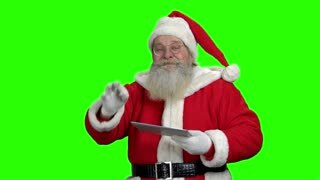 Santa Claus showing blank digital tablet. Happy elderly Santa holding pc tablet and showing ok gesture. Evening city background.